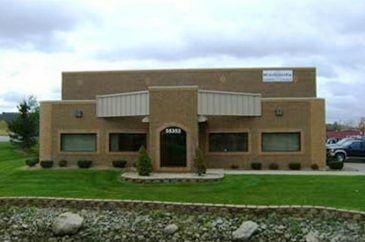 Kennedy Industries is Michigan’s leading pump, valve, control, and specialty products representative. Our sales engineers, account managers, customer service specialists, and project coordinators ensure the best customer service in the market. From the smallest application to the largest, Kennedy provides excellence in new equipment sales, pump repair, field service and controls for many industries. We strive to meet or exceed our customers’ expectations on every project, we are here to serve our customers competently, efficiently and knowledgeably. Kennedy Industries is only as good as the people we employ. We are proud to have employees with decades of experience, which in turn helps us to provide the best service to our customers. Calvin B. Kennedy founded our company in May of 1959. With $102.00 he started Kennedy Pump Repair Company in the back of a pickup truck. Cal brought in Bud Green as a partner managing the distributor type sales department to compliment the steady growth of the repair facility. Darrell Underwood is brought into ownership as Cal Kennedy retires from the company. 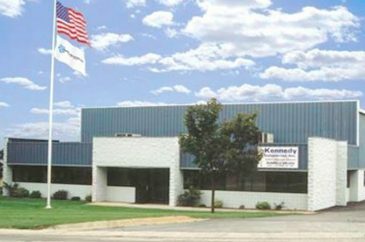 In May of 1988, Kennedy Industries moved into their new 8,000 square foot shop and office facility in Milford, Michigan. 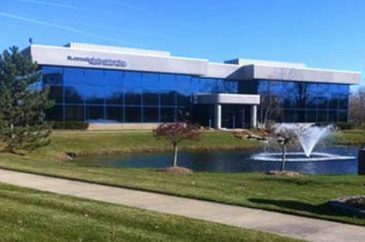 The company acquires ConValco, a company specializing in the sales of engineered valves and becomes Kennedy Industries. Expansion of Milford facility to total 20,000 square feet. Jeff Nachtweih, Steve Sadler and Dave Lake assume ownership for the retiring Ed Eberle. Kennedy Industries acquires the Flygt pump line. Expansion of Milford facility to total 30,000 square feet. 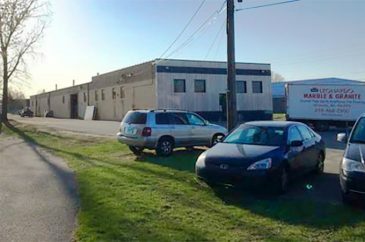 Kennedy Industries growth requires move of industrial personnel, inventory, shipping and receiving to 15,000 square feet facility in New Hudson, MI. Dave Lake retires from Kennedy Industries. Jeff Nachtweih and Steve Sadler remain in ownership. Mark Hemeyer is brought into ownership as Steve Sadler retires from Kennedy Industries. 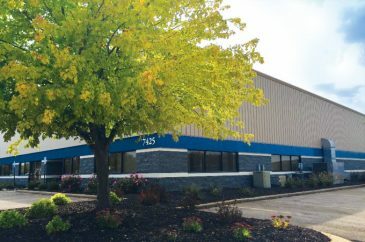 Kennedy Industries growth requires move of industrial, municipal, controls, field service, submersible pump repair personnel, inventory and shipping and receiving to 40,000 square feet facility in New Hudson, MI. Kennedy Industries breaks ground on new 100,000 square foot facility in Wixom, and take occupancy in 2015. 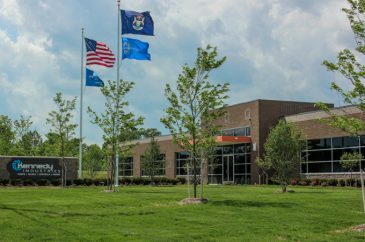 Kennedy acquires Grandtech, Inc. and expands to western Michigan with a new shop and office in Byron Center, MI. Kennedy Industries business philosophy is the same today as it was when the company was founded in 1959 – Provide the customer with the very best product and service. What does that mean today some 50 plus years later? IT MEANS all Kennedy Industries team members fully understand that without the customer there is no Kennedy Industries. IT MEANS going the extra mile to make a good customer experience a great one with plus 1 service. IT MEANS responding to a customer in need at 2:00 in the morning on Christmas Eve. 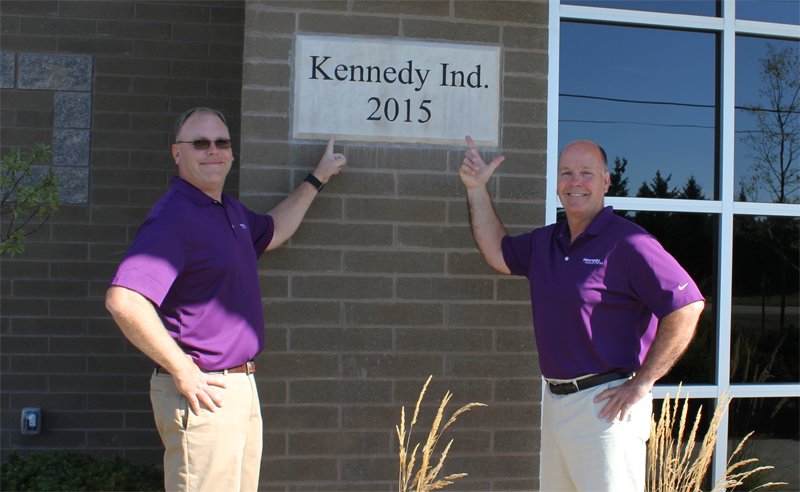 IT MEANS effort, purpose, pride, and appreciation of the fact that the customer chose to call Kennedy Industries. Our team commitment to the customer is the reason day after day, year after year, decade after decade customers continue to bless us with their business. It is often challenging, but the reward for a job well done is a customer calling again and again. Kennedy Industries’ top priority will always be to provide the best product and service while never forgetting to be thankful and appreciative to the most important person – THE CUSTOMER. ©2018 Kennedy Industries. All Rights Reserved. Website by EPO Creative, Inc.